Genetic Basis of Homosexuality Research Papers examine the research and study presented by Pillard and Bailey on the relation of genetics and homosexuality. 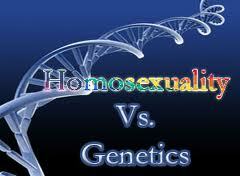 The genetic basis of homosexuality can be explicated in research papers from the writers at Paper Masters. Our writers will examine studies on the genetic basis of homosexuality and review and report on them for you in a research project. Identical twins are called monozygotic twins and their genomes are identical. Fraternal twins are called dizygotic twins and they share as much genetic material as other siblings. Richard Pillard of Boston University and Michael Bailey of Northwestern University performed a study with 56 monozygotic twins, fifty-four dizygotic twins, and fifty-seven adoptive brothers who were unrelated. The use of twins is important because they genetically related twins share genetic material while the adoptive brothers do not. If there is a genetic component to sexual attraction, then the more genetic material that two people share, the more likely they are to exhibit the same sexual preference. Pillard and Bailey’s study showed a concordance rate of 52 percent for monozygotic twins, 22 percent for dizygotic twins, and 11 percent for the adoptive brothers. Concordance is the sharing of a trait by each twin. The results of the study indicate a genetic component to homosexual attraction. Genetics could be as much as 70% of the cause of sexual preference. Pillard and Bailey believe that other factors are both biological and environmental and that they manifest themselves early in life. Their study could not determine how many genes were involved in sexual preference. Critics of the study complain that the manner in which Pillard and Bailey recruited subjects did not result in a random sample. They sought subjects through notices in gay publications. Critics argue that the motivation of these subjects is open to question. Furthermore, critics contend that studies of twins do not always account for environmental factors. Human Behavior - Human Behavior research papers examine the entire range of actions or mannerisms exhibited by human beings. Human Genome Project - Human Genome Project research papers write on mapping the genetic code of the cells in the human body. Homosexuality and Hormone Levels - Much of the early work in research papers on homosexuality and hormone levels states that research regarding the effect of hormones on homosexual attraction. Human Genetics - Human Genetics research papers overview the study of biological inheritance as it occurs in humans. Homosexual Rights - Homosexual Rights research papers examine the issues of LGBT right in the United States. Bisexuality - Genetic Basis of Homosexuality Research Papers -Evidence for genetics as a basis for sexual attraction came from studies of fruit flies. Human Mind - Human Mind Research Papers explore an example of an order placed for a psychology class, that gives you a list of pre approved topics to do your research paper on. Birth Order and Sexual Orientation - Incredible as it might seem, birth order, some studies suggest, has an influence on whether men and women become homosexuals. Fetal Development - Fetal Development essays look into the process by which a fertilized human egg grows into a fetus and is born as a viable human being. Nature Versus Nurture - Nature Versus Nurture Research Papers debate on whether or not behavior is affected genetics or environment. LGBT Rights - LGBT Rights research papers examine the social movement by lesbian, gay, bisexual, and transgendered individuals towards acceptance and equality in society. Influence of Homosexual - Influence of Homosexual Parents Research Papers look at a sample of an order placed for an exploratory essay with specific resource and format instructions. Transgender Children - Transgender Children research papers examine the challenges transgender children face when they identify as transgender. Order a research paper on transgender children from Paper Masters. Paper Masters writes custom research papers on Genetic Basis of Homosexuality and examine the research and study presented by Pillard and Bailey on the relation of genetics and homosexuality.